Lauded by Opera News for his “inky bass-baritone and clear projection seemed ideally suited to the role, capturing this isolated man’s passion with telling grief,” Alfred Walker returns to San Francisco Opera for Orest in Elektra, and to the Metropolitan Opera for Titurel in Parisfal and the Speaker in The Magic Flute in the 2017-18 season. 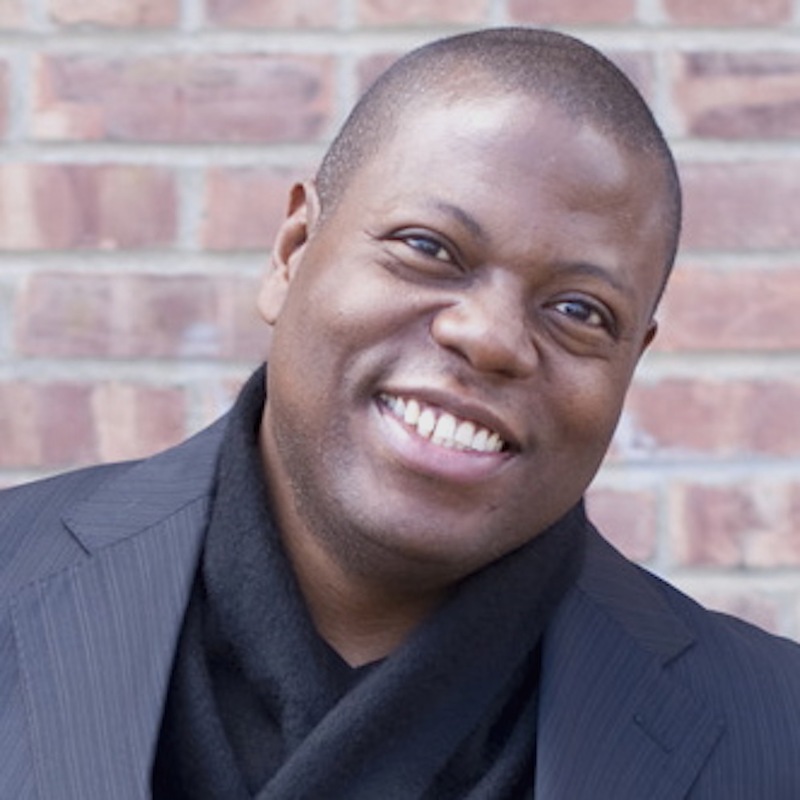 He also joins Seattle Opera for Amonasro in Aida and Porgy in Porgy and Bess, and Portland Opera for Méphistophélès in Faust. Concert performances include excerpts from Parsifal with the Baltimore Symphony, Verdi’s Requiem with the Sun Valley Summer Symphony, and Beethoven’s Symphony No. 9 with the Orchestra Now. Last season he sang his first performances of Wotan in Das Rheingold with North Carolina Opera and Méphistophélès in Berlioz’s La damnation du Faust at the Teatro Municipal de Santiago as well as created the title role of Josh Gibson in the world premiere of Sonenberg’s The Player King with Pittsburgh Opera. He also sang Porgy in Porgy and Bess in his debut with the Sydney Symphony, and Beethoven’s Symphony No. 9 with the Phoenix Symphony. The bass-baritone recently triumphed as the title role in Der fliegende Holländer at Theater Basel and returned to the company for his first performances of both Amfortas in Parsifal and Amonasro in Aida. Other recent performances include Kurwenal in Tristan und Isolde at Angers Nantes Opera and Opéra de Dijon; the title role of Der fliegende Holländer with Oper Köln, Seattle Opera, Théâtre de Caen, Grand Théâtre de Luxembourg Boston Lyric Opera, and the Wagner Geneva Festival; Pizarro in Fidelio with Caramoor International Music Festival; Bluebeard in Bluebeard’s Castle with the New Japan Philharmonic; Amonasro in Aida with Utah Opera; Creonte in Medea with the Opéra national de Lorraine; Four Villains in Les contes d’Hoffmann with Komische Oper Berlin and Den Norske Opera; and Il Prologo in Gnecchi’s Cassandra with the Deutsche Oper Berlin. His celebrated characterization of Orest in Elektra has been seen at Teatro alla Scala, Seattle Opera, Deutsche Oper Berlin, and Spain’s San Sebastián Festival and he received great acclaim for performances of Allazim in the Peter Sellars’ production of Zaide at the Festival d’Aix-en-Provence, Wiener Festwochen, London’s Barbican Center, and Lincoln Center’s Mostly Mozart Festival. He sang Telramund in concert performances of Lohengrin in Oviedo, Spain under the baton of Semyon Bychkov and later joined the conductor and the WDR Sinfonie Orchester Köln for Lodovico in Otello. In lesser-known repertoire, he sang Kunrad in Feuersnot with the American Symphony Orchestra and König Karl in Schubert’s Fierrabras at the Bard Music Festival. Additional highlights of recent seasons include his Los Angeles Opera debut as Porgy in Porgy and Bess; title role of Don Quichotte, Four Villains in Les contes d’Hoffmann with Seattle Opera and Tulsa Opera; Méphistophélès in Faust also with Tulsa Opera; Achilla in Giulio Cesare and Colline in La bohème with San Diego Opera, Atlanta Opera, and New Orleans Opera; Leporello in Don Giovanni with Opera North; Raimondo in Lucia di Lammermoor with Palm Beach Opera, Banquo in Macbeth with Minnesota Opera; Donner in Das Rheingold with New Orleans Opera; and Sarastro in Die Zauberflöte with Minnesota Opera and Utah Opera. Also a frequent presence on the Metropolitan Opera stage, he recently returned to the famed house for Parsi Rustomji in its first presentation Satyagraha in addition to joining the company for its productions of Bluebeard’s Castle, Il trovatore, Elektra, Le nozze di Figaro, Roméo et Juliette, Don Giovanni, Samson et Dalila, Pelléas et Mélisande, Les Troyens, and L’enfant et les sortilèges. Mr. Walker is an equally versatile concert artist. He has sung Beethoven’s Symphony No. 9 and Verdi’s Requiem with the Atlanta Symphony Orchestra under the baton of Robert Spano as well as the Stuttgarter Philharmoniker, Utah Symphony, Louisiana Philharmonic, and at the Sun Valley Music Festival. He has joined the Boston Symphony Orchestra for Rossini’s Stabat Mater as well as previously for Porgy in Porgy and Bess in performances conducted by Bramwell Tovey at Tanglewood and in Boston, the Grant Park Music Festival for Shostakovich’s The Execution of Stepan Razin and Elgar’s The Kingdom, the Handel and Haydn Society for Mozart’s Requiem, American Symphony Orchestra in Alice Tully Hall for Mahler’s Kindertoten-Lieder and Rückert-Lieder, and Los Angeles Philharmonic for and Toronto Symphony Orchestra for Porgy in a concert performance of Porgy and Bess. Other concert performances include his debut with the New York Philharmonic Orchestra and Sir Colin Davis in Beatrice et Benedict; Verdi’s Requiem with Marin Alsop conducting the Baltimore Symphony Orchestra, at Spoleto Festival U.S.A, and with the Greensboro Symphony and Reno Philharmonic; performances with the Boston Symphony Orchestra in Carnegie Hall; and a concert performance of Strauss’ Salome at the Tanglewood Festival with Seiji Ozawa. He has also presented recitals at the Manchester Music Festival. His recording credits include another collaboration with Semyon Bychov and the WDR Sinfonie Orchester Köln for Orest in Elektra on the Hybrid label as well as performances on Placido Domingo’s CD of Verdi tenor arias for Deutsche Grammophon. A graduate of Dillard University, Loyola University, and the Metropolitan Opera Lindemann Young Artist Program, the New Orleans native is the recipient of awards from the George London Foundation, Palm Beach Opera Competition, Houston Opera Studio’s Eleanor McCollum Competition, and the Sullivan Foundation career grant.